Businessman, conservationist, philanthropist and accomplished big-game angler, George Matthews has been dedicated to the IGFA for nearly 50 years, serving first as Vice President and Executive Committee member, then as Chairman of the Board from 1992 to 2000 and now as At-Large Board Member. Great-grandson of pioneering Florida hotel developer and railroad magnate Henry Flagler, Matthews was first in his family to enter politics, serving as town councilman in his native Palm Beach for 16 years and, at age 34, becoming the youngest council president in the town's history. With an abiding love of hunting and fishing, Matthews served as Everglades Regional Commissioner of the Florida Game and Fresh Water Fish Commission in the 1970s--the predecessor agency of today's Florida Fish and Wildlife Conservation Commission. 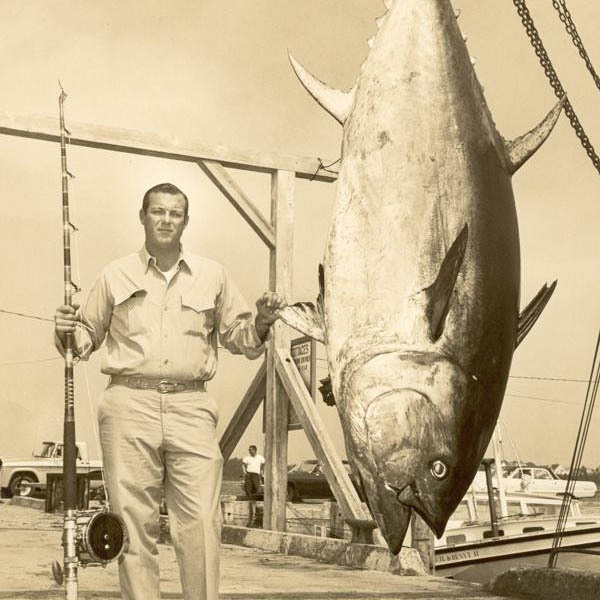 Matthews has pursued big game all around the world, but his favorite sport fishery is bluefin tuna, especially in the Bahamas and Canada-- a passion he shared with longtime friend Elwood Harry, the late IGFA President and Board of Trustees Chairman. The two were instrumental in putting Newfoundland on the map as a prime destination for giant bluefins after they hooked 139, released 107, and put tags in 70 in the summer of 1969-- a feat documented in Outdoor Life magazine by author Joe Brooks. Matthews became one of the first successful anglers to advocate for the catch and release of the species. As Board of Trustees Chairman in the 90s, Matthews was a critical driver of the campaign to plan, fund, and build the IGFA Hall of Fame and Museum in Dania Beach. He also serves as President of the Flagler Museum in Palm Beach.